Deputy Sheriff J. Ryan Moore Motor 4756, has been assigned to the Mecklenburg County Sheriff's Office Motor Unit since 2014, becoming a Police Motor Officer Instructor in 2017. Deputy Moore has an AA Degree in Criminal Justice, a BS Degree in Organizational/Business Management and served in the USMC Reserves for six years. 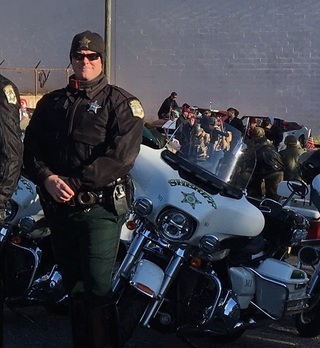 Deputy Moore has been in law enforcement since 2000 with experience in patrol, accident reconstruction, crime scene, recruiting, and investigations prior to joining the MCSO Motor Unit.